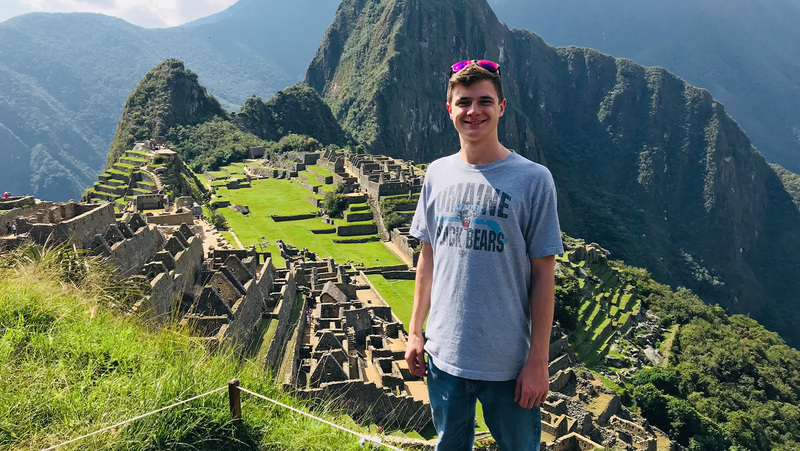 Jordan Gardner, of Farmingdale, Maine, caught the travel bug during the spring 2018 semester when he journeyed to Cusco, Peru. Through the ISA (International Studies Abroad) Cusco: Language, Literature, and Culture program, Gardner studied archeology, cultural anthropology and the history of the Incas at the ISA Study Center through a partnership with Universidad de Salamanca. While in Cusco, Gardner says he met many interesting people and became close to his host family. “The best time of my life was when I studied in Peru, and that’s the exact reason I decided to spend another semester abroad. It is an unforgettable experience,” says Gardner, who encourages everyone to consider studying abroad. Now in Puntarenas, Costa Rica for the spring 2019 semester, the third-year anthropology student at the University of Maine is living with a local family and studying Spanish, and so far “the same thing is happening,” he says. Gardner is the first recipient of an award from the McGillicuddy Humanities Center’s Global Perspective for Humanities Explorations Fund, which has made the experience possible. He’s enrolled in the USAC (University Studies Abroad Consortium) Costa Rica: Puntarenas — Spanish Language, Ecological, and Latin American Studies program, taking classes at the USAC Puntarenas Center. Learning about a new culture and making friends is at the heart of Gardner’s love of travel. He began learning Spanish in Peru and enjoyed it so much he decided to work toward becoming fluent. Gardner plans to declare a minor in Spanish upon returning to UMaine. The Global Perspective for Humanities Explorations Fund was established at the University of Maine Foundation in 2018 with a gift from Tracey Graffam-Dickson ’93, Jessica Canatsey ’92 and other members of the Friends of the Salzburg Study Abroad Program to recognize and honor Josef Roggenbauer, professor emeritus of German at UMaine. Roggenbauer established the New England Universities in Salzburg Study Abroad Program at UMaine in the 1970s and gave many years of service and dedication to the program, which ran for more than 30 years. Created to highlight the importance of modern language, cultural exploration and the global exchange of ideas, innovation and experiences, the fund supports students regardless of major or destination. Through the experience of living and studying in a different country and learning its culture, students have an opportunity to experience the world through a different lens, transcend ideological boundaries and discover innovative ways of approaching the challenges they will face as future citizens of their communities, countries and the world. The fund has helped Gardner achieve his goals by supporting opportunities to engage in learning through travel. “I have always been interested in different cultures and their history. I would love to have a career that would allow me to travel and explore,” Gardner says. 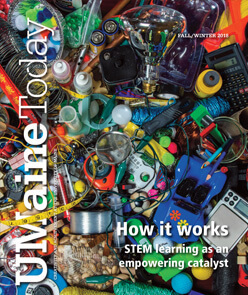 To donate to the Global Perspective for Humanities Explorations Fund, visit the University of Maine Foundation website.